Interested in serving our school as a student council officer? Pick up your application packet on April 1st! Students in grade 3 can run for Historian or Treasurer. Students in grades 4 can run for Secretary, Vice President, or President. The student council application is due on April 8 with the primary election on May 2nd and 3rd. 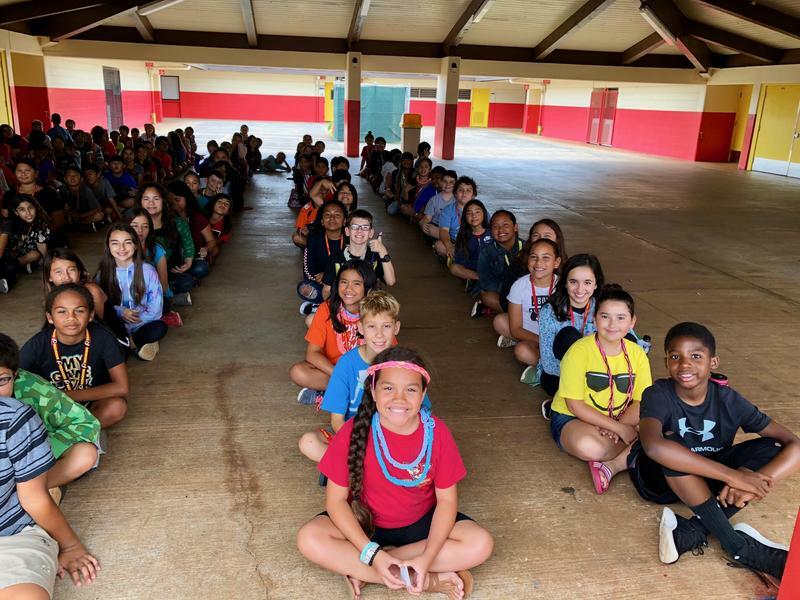 Mililani Waena's mission is to improve student achievement by meeting our school-wide needs. Recognizing that students learn in a caring environment, we promote the TRRFCC (Trustworthy, Respectful, Responsible, Fair, Caring, Citizenship) character traits. so you can find information on the go. Our JPOs received a 100% score at the JPO field day. Congratulations! 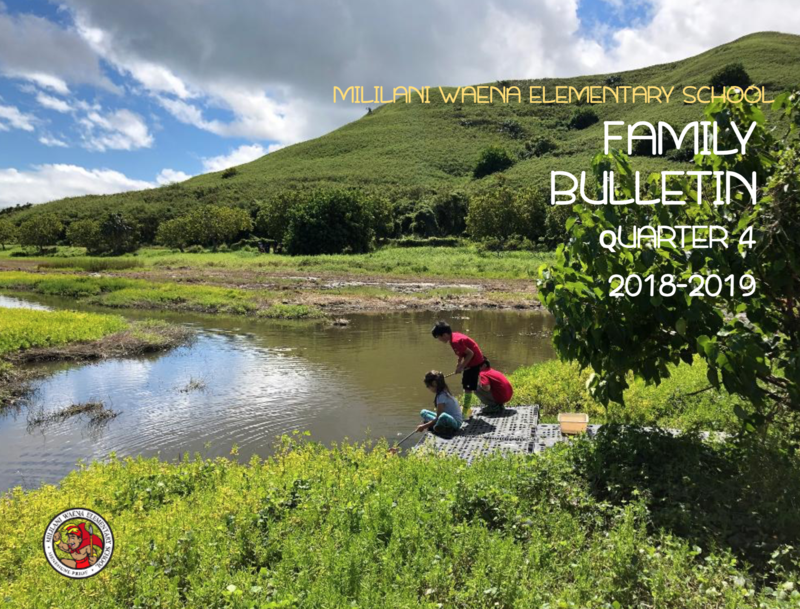 Quarter 4 Family Bulletin Online! Take a tour of highlights from the previous quarter. To view, click on this announcement header. Order Online Your Keiki Kit School Supplies Today! Go to www.keikikits.com - click "Shop" and on Mililani Waena Elementary to order your school supply kit. The kits take the ease and hassle from the school supply shopping rush for next school year. 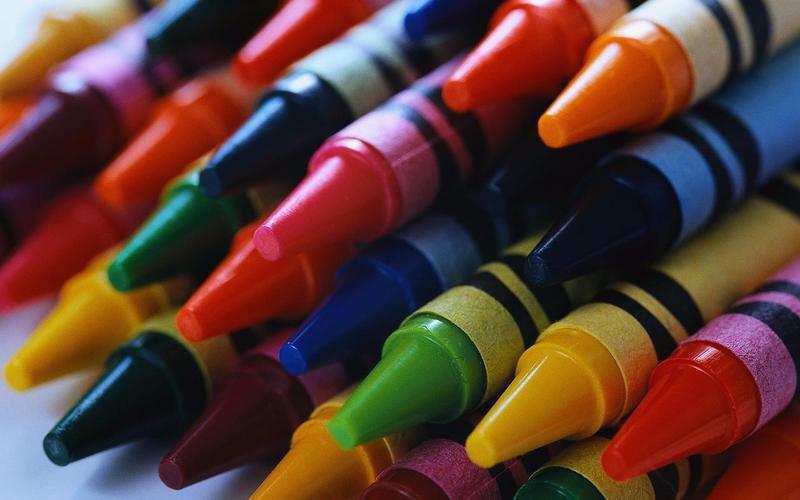 The kit contains quality items and are based on your child's school supply list. 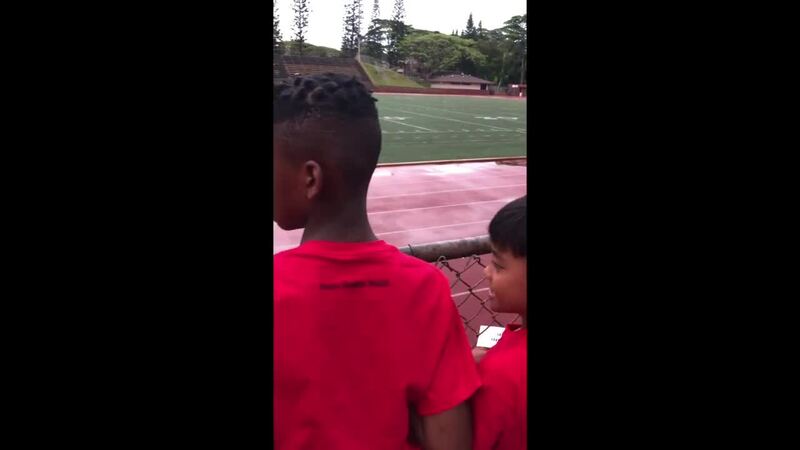 The kit is delivered directly to Mililani Waena Elementary in July. Order by May to avoid a late fee. 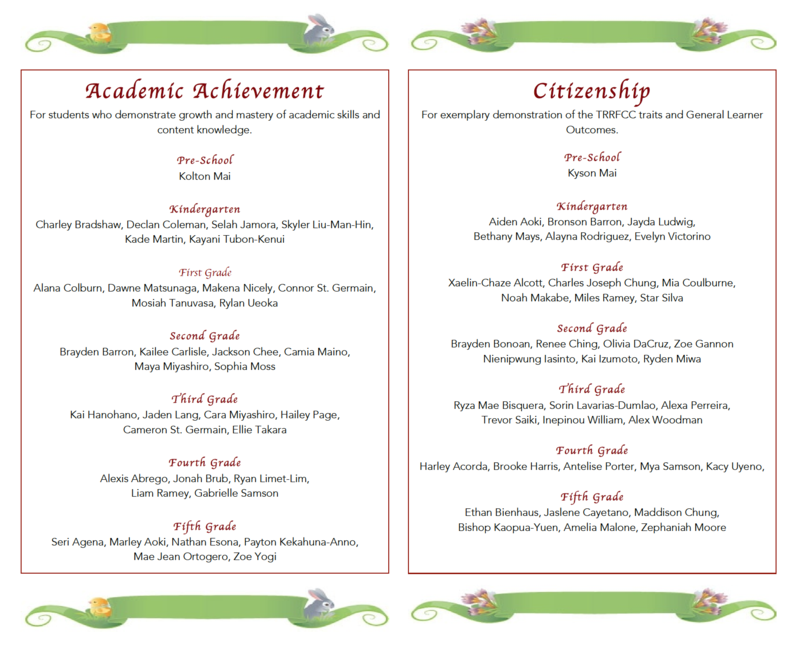 Congratulations to our Quarter 3 Academic Progress and Citizenship Awardees! Today we celebrated students who receive an award for academic progress or citizenship. They received certificates at our recognition assembly. Our science fair students represented Mililani Waena exceptionally well at the Central District Science & Engineering Fair! Allyson Keane won 1st Place for her experiment on Coastal Erosion in the Scientific Inquiry Process category. Kawika Miyamoto won 2nd place for his engineering and design project on H2O Malolo. Kayla Miyashiro and Josie Borthwick won 3rd Place for their engineering and design Mongoose trap. 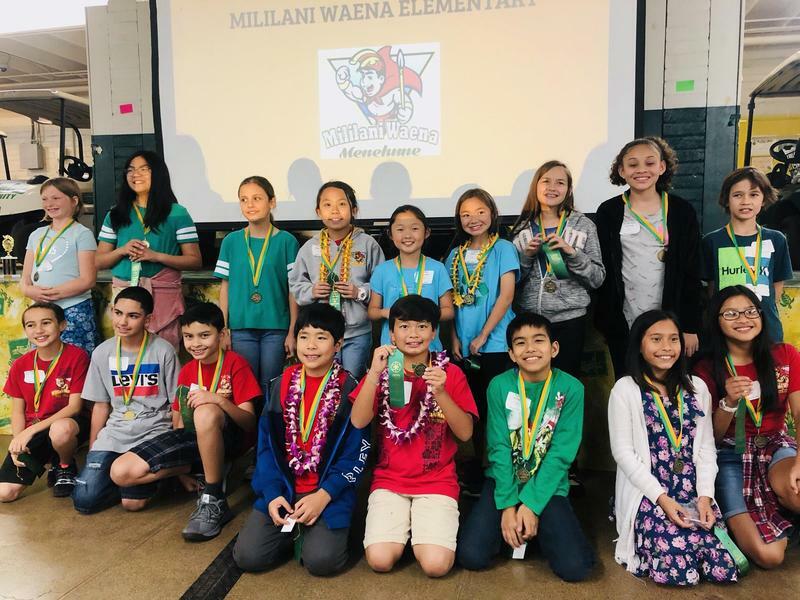 The following students also received special certificates of achievement bestowed by community organizations: Ayden Odagiri, Noelani Nakamoto, Lauren Omine, Sophia Kusamoto, Matthew Ching, and Emily Wright. Congratulations to all of our participating students and big Mahalo to our fifth grade teachers and staff for their support. 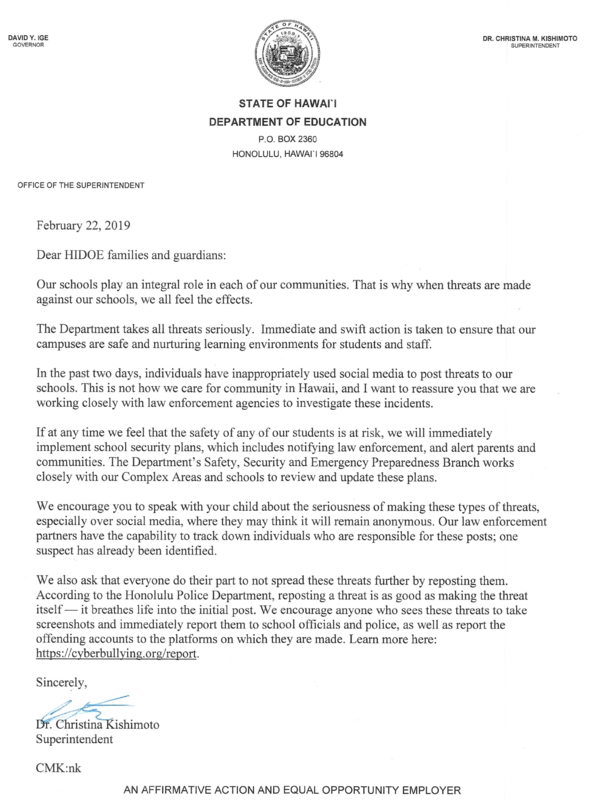 This letter was shared from the Superintendent's office regarding school safety. Congratulations to our Character Counts Poster Winners! 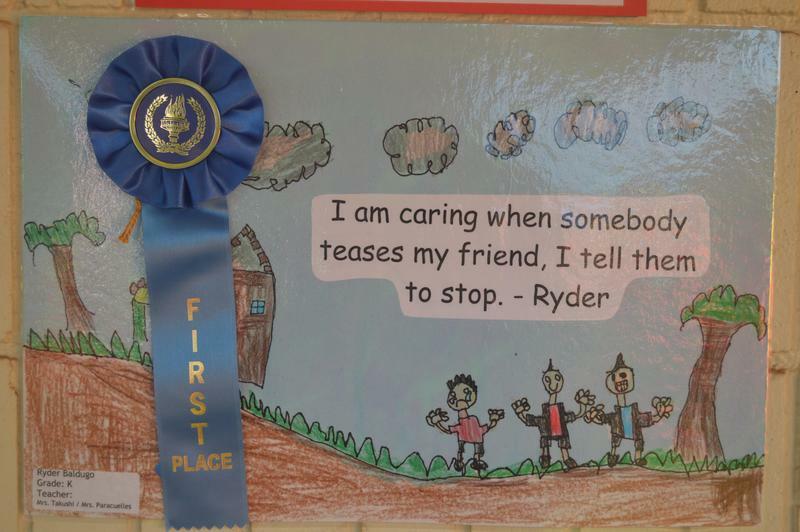 Check out our 1st place poster winners who drew posters around the theme Caring in our Community. Take a look at highlights from quarter 2 in the Family Bulletin. 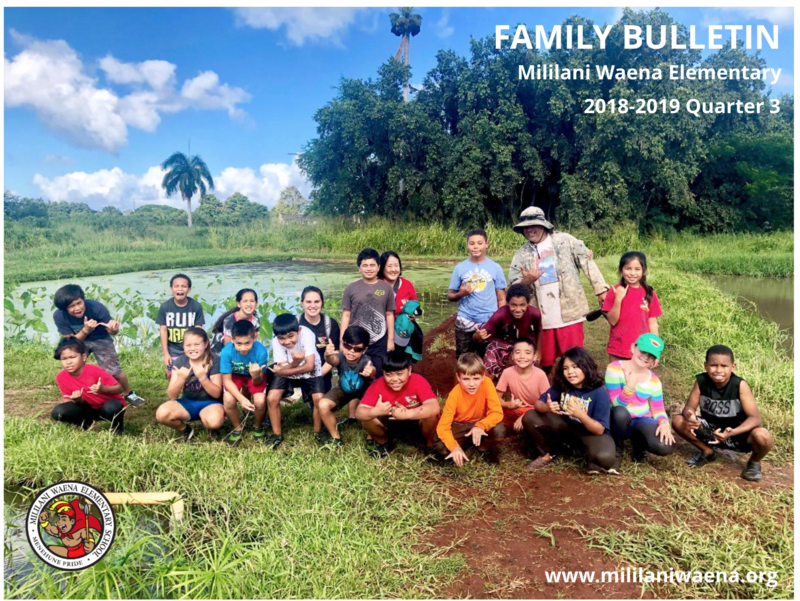 The bulletin includes video, photo, and brief descriptions of Waena happenings. Click on this announcement header to access the link. The monthly enrollment fee for the A+ After-School Program has increased to $120 per month per child. Applicants can inquire about financial assistance based upon income level. A+ sign up packets are available in the office. The first day of school is Monday, August 6th. 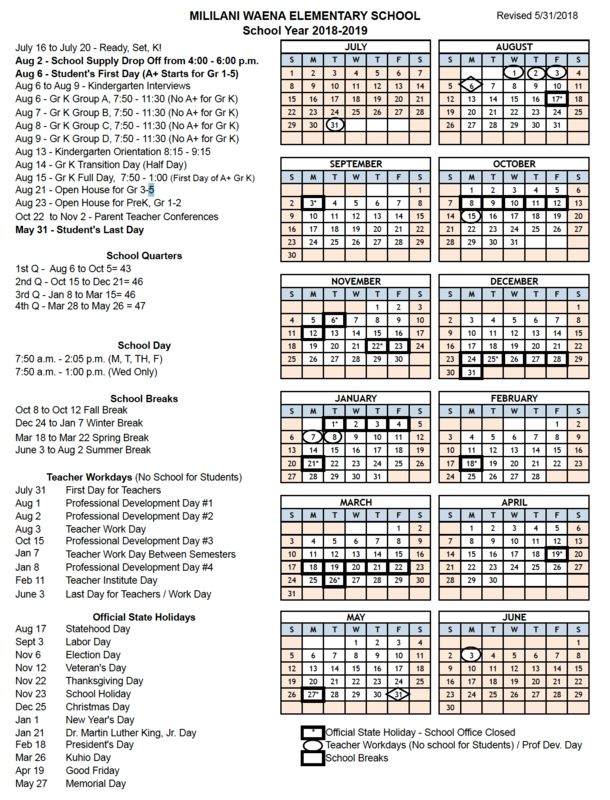 Please find all important school dates on this calendar.